Our Company - Felling Trailer Inc.
Our Company – Felling Trailers, Inc.
Felling Trailers in Sauk Centre, MN has grown from a small shop in 1974 to two factories and office complexes that today cover over 325,000 square feet. Felling Trailers is a family owned and operated Full Line Trailer Manufacturer located in Central Minnesota that was started in 1974 by Mr. Merle J. Felling. 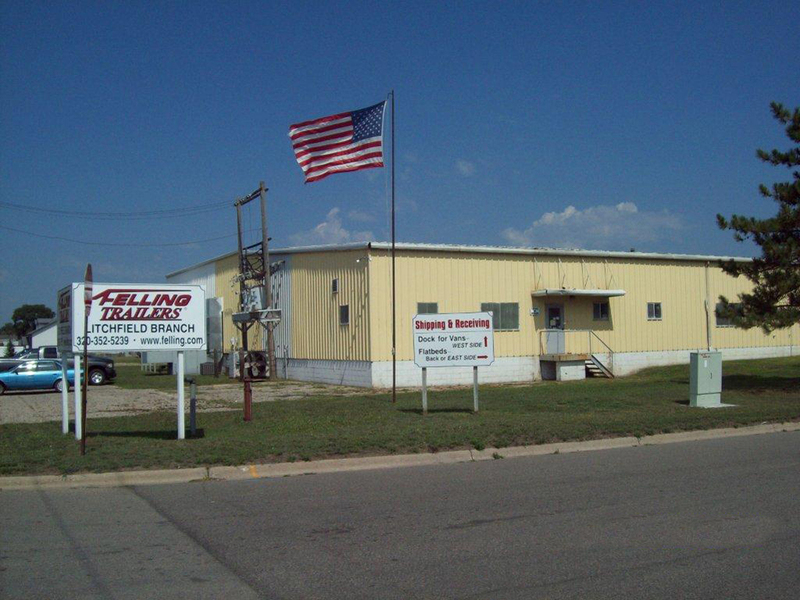 Felling Trailers, Inc. has grown from a small shop to a factory and office complex that today covers over 325,000 square feet. Felling Trailers currently manufactures more than 5,000 trailers a year ranging from a 3,000 lb utility trailer to a 120,000 lb hydraulic gooseneck trailer, and its standard trailer line includes over 240 models. Felling’s pride and differentiation is our custom trailer, division. Our engineers utilize the latest industry-leading design techniques along with our experienced metal craftsmen and cutting-edge technology to turn our customers’ conceptual trailer needs into a tangible product. Felling continually researches and implements new technologies to reduce lead-time and increase production in the manufacturing plant. Felling Trailers provides a high-quality product that is distributed across North America and internationally. In the spring of 2017, Felling Trailers, Inc. received ISO 9001:2015 Certification for our Quality Management System in our Sauk Centre, MN, and Litchfield, MN operations. Our Mission – Creating a legacy through exceptional people, products, and results! At Felling Trailers, Quality, Craftsmanship, & Pride are central in everything that we do. • Customers can count on us to deliver a Quality product that is extremely durable and can stand up to the vigorous demands of the working world. • Customers can rely on our industry-leading designs and superior Craftsmanship to give them a competitive advantage in the marketplace. • We take tremendous Pride in the trailers we build and it shows in everything that we do. From our innovative designs to our world-class Parts & Service Department, we stand behind everything that we do to ensure ultimate customer satisfaction. Since 1974 these principles have been essential to Felling Trailers and they will continue to guide us into the future. Purpose/Cause/Passion: Creating a legacy through exceptional people, products, and results! Felling The Trailer EXPERTS. • Promoting an understanding of our customer’s needs and expectations together with a culture of exceeding customer expectations. • Developing seamless processes by fully integrating the services provided by our suppliers and partners. • Monitoring our performance through performance metrics in order to continually improve our processes and services. • Utilizing our ISO 9001:2015 quality management system for all company processes everywhere, every time, and without exception.